I read this article and found it very interesting, thought it might be something for you. 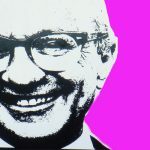 The article is called What Milton Friedman Got Wrong: Biologists Destroy Homo-Economicus and is located at http://evonomics.com/what-milton-friedman-got-wrong-david-wilson/. One of the most influential articles published in the field of economics is Milton Friedman’s (1953) “The Methodology of Positive Economics”, in which he argues that people behave as if the assumptions of neoclassical economic theory are correct, even when they are not. One of the most influential articles in the field of evolution is Stephen Jay Gould and Richard Lewontin’s (1979) “The Spandrels of San Marcos and the Panglossian Paradigm”, which argues against excessive reliance on the concept of adaptation. Different disciplines, different decades. No wonder these two classic articles have not been related to each other. Yet, there is much to be gained by doing so, for one reveals weaknesses in the other that are highly relevant to current economic and evolutionary thought. The abstract methodological issues we have been discussing have a direct bearing on the perennial criticism of “orthodox” economic theory as “unrealistic” as well as on the attempts that have been made to reformulate theory to meet this charge. Economics is a “dismal” science because it assumes man to be selfish and money-grubbing, “a lightning calculator of pleasures and pains, who oscillates like a homogeneous globule of desire of happiness under the impulse of stimuli that shift him about the area, but leave him intact”; it rests on outmoded psychology and must be reconstructed in line with each new development in psychology; it assumes men, or at least businessmen, to be “in a continuous state of ‘alert,’ ready to change prices and/or pricing rules whenever their sensitive intuitions … detect a change in demand and supply conditions;” it assumes markets to be perfect, competition to be pure, and commodities, labor, and capital to be homogeneous. Friedman admits that the orthodox theory’s assumptions about human preferences and abilities, which are often labeled Homo economicus as if they are a description of a biological species, are manifestly unrealistic. Yet, he claims that they are still predictive of human economic behavior by way of three analogies. First, trees distribute their leaves as if they are maximizing their exposure to sunlight, yet no one pretends that they are performing optimization equations. Likewise, an expert pool player acts as if he is performing complex calculations when making his shots, when in fact his behavior has been molded by countless hours of play. Finally, a firm acts as if it is maximizing its profits, when in fact its continuing survival is the result of a selection process in which the non-optimizing firms were eliminated. The first is an example of genetic evolution, the second is an example of individual learning, and the third is an example of cultural evolution. In all cases, a process of selection results in entities that behave adaptively, as if they are solving complex optimization equations, when mechanistically they are doing nothing of the sort. Evolutionary biologists will recognize Friedman’s point as a distinction between ultimate and proximate causation. Ultimate causation explains why a trait exists, compared to many other traits that could exist, based on the outcome of a selection process. Proximate causation explains how the trait exists in a physical sense. Sunflowers turn towards the sun because selection has favored phototropism (the ultimate explanation); but within each individual sunflower is a physiological mechanism that causes the plant to do so. The proximate explanation need bear no resemblance to the ultimate explanation, other than to reliably cause the adaptive behavior to come into existence. So far, Friedman is standing on firm evolutionary ground with his “as if” argument. Evolutionists frequently reason about the properties of species “as if” they are maximizing their fitness, without worrying about the proximate mechanisms. As a simple example, we can confidently predict that many desert animals are sandy colored to avoid detection by their predators and prey. The prediction holds true for different kinds of desert animals, such as insects, snails, reptiles, birds, and mammals, even though different proximate mechanisms in these animals cause the sandy coloration to develop. The ability to predict the properties of organisms in functional terms, without reference to proximate causation, is one of the most powerful features of evolutionary theory. But reasoning on the basis of adaptation delivers the correct answer only if the trait in question is a product of selection and if we have correctly identified the relevant selection pressures. If the trait isn’t adaptive in any sense, we’ll be wrong. If we assume that the trait is a solution to one adaptive problem (such as the need for a foraging animal to maximize energy intake per unit time), when it is a solution to another adaptive problem (such as the need for a foraging animal to manage a trade-off between energy gain and predation risk), we’ll also be wrong. That’s where Gould and Lewontin’s “Spandrels” paper comes in. They chastised some of their evolutionist colleagues for assuming that every trait must have an adaptive explanation and for accepting adaptive “just-so” stories without adequate proof. They outlined a more comprehensive approach that requires strong evidence for any given adaptationist explanation and reflects the many ways that nonadaptive traits can persist in a population. 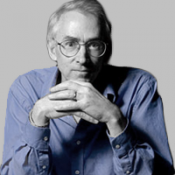 The compleat evolutionist might begin with an adaptationist hypothesis to explain a given trait, but then tests the hypothesis and modifies it as warranted, keeping both other adaptation and non-adaptation hypotheses in mind as live options. Compleat evolutionists also study proximate mechanisms, development, and phylogeny in conjunction with their focus on natural selection. Some evolutionists complain that Gould and Lewontin created a straw man with their critique, but their portrait of “naïve adaptationism” accurately describes Friedman’s defense of neoclassical economics. He assumed that one or more selection processes (genetic, learning, or cultural) resulted in people who resemble Homo economicus as far as ultimate causation is concerned. He did not consider other adaptationist or nonadaptationist hypotheses. He did not indicate that proximate mechanisms, development, and phylogeny need to be considered along with ultimate causation. The only evidence that he provided to support his hypothesis was to claim that economic policy based on the orthodox theory was successful. His “as if” argument was evolutionary, but not evolutionary enough. The weakness of Friedman’s article, when related to Gould and Lewontin’s article, reveals a widespread problem in the basic and applied human social sciences. All accounts of human social behavior that are not creationist strive for consilience—consistency with other branches of knowledge. An economic or social policy that ignores the way we are as a species and the way that cooperation evolves in all species is no more likely to succeed than an architectural plan that ignores the laws of physics. Yet, for complex reasons, evolutionary theory has been avoided as an explanatory framework for most branches of the social sciences since before most of the current experts were born. When theories and policies derived from the social sciences are related to modern evolutionary science, they often fail the consilience test as miserably as Friedman did in 1953. Social scientists and policymakers need to become compleat evolutionists, no less than biologists. The bad news is that a lot of work needs to be done for our current theories and policies to pass the consilience test. The good news is that when we start to earn passing grades, our economic and social policies will start working better than they do now.